Download world’s first handbook for the Magic Truffle fan. This e-Book contains 30 years of professional experience, for free! Learn everything about Magic Truffles and Mushrooms; from a long history of shamanic use to the war on drugs today, and everything about tripping and growing your own magic! Hi Peter I have just read your free eBook which is an excellent read. As an older “head”, 56th year in this “house”, it is comforting to know that you care about your customers by providing detailed explanations of types, effects and dosages. Well done and I look forward to my ongoing journey, inside and out. I have just finished your guide and all I can say is wow.So coherently and passionately written. I bet you are a delight to work for. Just read the book and I loved it! Lots of valuable information and some humour! Only thing I found Is you put a little too much emphasis on bad trips.. but it’s was great thanks a lot! I had tried mushrooms before reading the book. Afterwards It all made more sense and the experience become enlightened. It also gave me a good base to share with my friends that where curious about mushrooms but to afraid to try them! Thanks for taking the time to write this book for us! I shared it with my friends who did not really know about the truffles, and they really are getting more interest! The pictures in the book is also amazing, thank you so much! It explains `psilocybin`, what it is, how it works to expand consciousness, etc. First time I read your book to gain more confidence in re-visiting the psychedelic experience. My 1st LSD experience decades ago changed my life, inspired my life quest of spiritual discovery – as it did with Timothy Leary, Richard Alpert/Ram Dass and countless others. Now in my 60’s, thanks to your excellent products and service, I can re-visit the magic anytime, continue the journey, from a wiser and more experienced place. 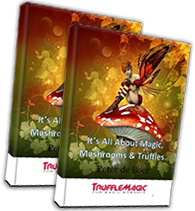 Truffle Magic is packed full of useful information and advice about magic mushrooms, truffles and tripping. Highly recommended to read it before, during and/or after a trip. Also highly recommended is your grow-kit product. Launching our second Pandora crop this week. Ordering more soon. Nice! Peace, bliss, etc. I just enjoyed reading again your Truffle Magic book. It is very informative, inspiring, helpful and easy to understand. The ebook was very insightful. I certainly enjoyed getting a more in-depth view into psilocybe! I found the e-book very interesting, entertaining and educational. Highly recommended for people who have not been able to go deep with the experience or even for people with background on it. I found some good advices that I will carry out next time. Let’s spread the word and make the world a better place! Brilliant book! Full of informative facts and science, stunning artwork , and a pleasure to receive for free, as a seasoned psychonaught with a love of all thing psycadelic and mycological may I say , peace and thank you. Loved the book and read it in one sitting! A lot of things described were exactly how I felt and perceived the mind opening and expanding trips. Trufflemagic is the best thing that happened to me and opened so many new doors, pathways and possibilities. Many great things, thoughts and connections can be made using the flesh of the gods if in the right mind and state. The book is a great guide to all new and returning open minded people that want to know more than the everyday eye can see. I hope and feel this book and movement in people can expand the counciesness of people in this world since truffles were put and are grown naturally in the world to help it heal and open people’s mindsets to see what really matters. – it is free to download and free to share with others. 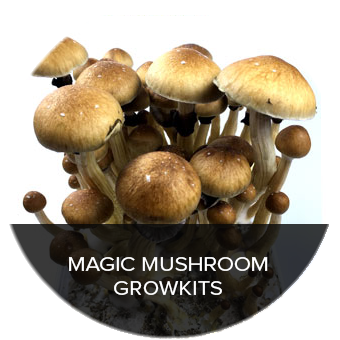 I find your e-book, together with your web page Trufflemagic.com, as one of the best reference point for everyone who seeks honest information about truffles and shrooms. 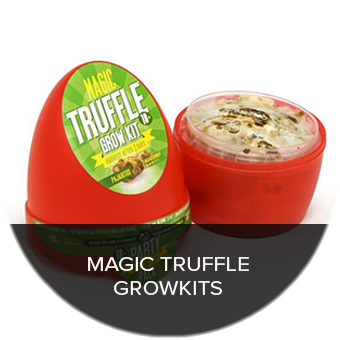 Although I did not have the opportunity to try your truffles or grow kits yet, I am sure they are great and full of magic also. I would like to praise your good work and encourage you to continue with your mission. Yessss Your e-book was indeed fantastic 🙂 – many nuggets of interesting information amongst great general advice. Circulated amongst some of my friends who also said it was a good read. Cheers for the information, truffles and good times you’ve helped facilitate! Your E-book was amazing, even revolutionary. Thank you so much, for all of the wonderful knowledge you have shared with us. With your knowledge and information I have been able to have the most insightful experiances with truffles. From preparing my body a few days before the trip, to knowing what to expect when experiancing the trip. Thank you very much. Hi Peter, I found your book a pleasure to read, it was not simply informative, which it was, it was also beautifully illustrated. For those who have wanted to try mushrooms but were afraid because of misinformation, your book dispels those unfounded fears of being poisoned. I especially enjoyed reading the effects of truffles on the mind. The world is in need of a major mind change and I am convinced that such things as D.M.T and truffles is the way. Nature gave us these wonderful substances to enable us to bridge the gap of forgetfulness. My only disappointment while reading your wonderful book was that I had no access to some truffles. It is however my wish to partake of the sacrament and will one day fulfill my wish either by ordering some on-line or visiting your lovely country for that very purpose. Once again thank you for making available such an enlightening book. What a great book! Thank you very much for everything. Thank you very much for your e-book. It’s a very interesting e-book!!! So many facts I didn’t know and I could feel the love the truffles spread out and hold for us only by reading your e-book. I feel very connected to the fairy realm when I’m dealing with truffles and they open a gate to very old times a long time ago. Your e-book confirms a lot of nice things and makes it more joyful to trip. As reading your e-book you can feel the magic from the truffles and what they are able to give to us. Have a wonderful day and keep us always tuned!!! After having tried Psilocybe Hollandia on numerous occasions, I decided to delve a bit deeper into these wonderful sclerotia. 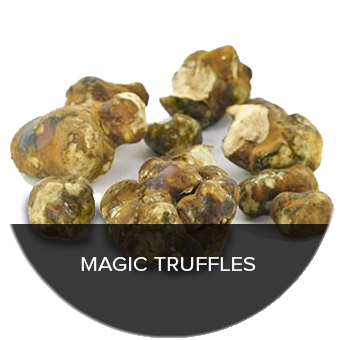 Luckily, TruffleMagic has this free e-Book, which has a lot of information on these truffles. It is an excellent read and provides a lot of answers to some questions you might have after using truffles. Your e-book is a valuable guide for anyone entering the wonderful world of the magic truffles and psychedelic experiences. This is a collection of information which is essential for anyone who is interested in partaking this sacrament nature offered us. It’s very kind of you to share this with the world by writing this! Thank you! This magical ebook is very interesting and gives a lot desire to experiment truffles. It is really great for beginners and is very enjoyable to read. I shared it with all of my fellow psychonauts before doing the “trip”. We thank you a lot for your illustrious work. We appreciate all councils Peter. Thanks guys for the awesome book interesting read. I’m so glad I came across this site truffle magic has provided me with the best trips. I will be a loyal customer for many years to come. This book was very clear and precise, showing me lots of different things about mushrooms and it vastly helped when I went shroom picking around my village! Much thanks. For somebody (like me) who’s inexperienced with tripping this is an invaluable guide. It covers all the main aspects with clarity and insight and it does so very succinctly – I read the whole book at one sitting. Loved it! A great read. I learned a lot what is to know about the truffle magic. Thanks for this!! Dear Mr. De Boer, thank you for giving us the opportunity of increasing our knowledge about magic mushrooms! Easy to read, to comprehend, useful and at least someone who explains the utility in the ancient times. Thank you for giving us the chance to acquire it for free! Kind regards, take care and continue to open people’s mind and consciousness! It’s a wonderful e-book which contains all the info you need, collected and written down in such a sweet and cool way… I can feel, that you are into this whole thing from the bottom of his heart. You use your heart and your mind to spread the love and the magic in such a respectful way, and that’s what I absolutely admire. It’s not only snatched up information, it’s like a little hommage to the goddess of mycelium…. Thank you, for spreading this and for having the passion to go on with this. Wonderful job on the book! Very informative. Loved how the book introduces the history of psilocybe and hie it was used. Thank you very much and I appreciate the free E-book! I found the book to be a pleasurable read, aswell as being educational and enlightening it was extremely interesting, inspiring and thought provoking. This was really enlighting to read, just as much as truffles are to consume. It has definitely widened my knowledge on truffles and i extremely appreciate their capability of exploring you! worth a read!! This book was the complete package, well written and comprehensive and practical. I always managed to get caught up in circles of control and I always wondered what did I do wrong. After reading the book I discovered lots of useful tips and tricks. Thank you for spreading the knowledge to the world! Interesting book with lots of info. Nature can not be illegal! Compact, easy to read, fully-covering, and amusing in itself. Great book and my compliments to the writer. I would first like to thank you for making your Ebook available to the masses for free and congratulate you on a very informative and well put together book. I am a research mycologist as well as a Psychonaut, I have a vast knowledge of myself dealing with plant allies, from cannabis- starting out with recreational use at 9 years old, Daily through my childhood and most of my adult life taking into account a couple years of abstinence (not consecutive), to very high quality very strong strains in ritualistic ceremonies (extremely high dosages which most typical users would find uncomfortable. Having lots of experiences with LBM’s, Cacti, HBW, DMT, as well as other teachers in the hallucinogen family from organics to synthetics I have some background in this life long quest. I have been searching throughout my life to find “The One” entheogen that fits my souls personal journey. For as long as I have been conscious enough about this topic which was quite young I have been on this quest to find the “Truth” where did it all start, what did our forefathers believe and their forefathers before them, how did religions start what made us believe in Gods and what are indigenous peoples “Gods” and ways, I knew there was more to religions as they are presented to us, and the Entheogen’s are the key to all. While all of my experiences taught me much about myself and how I create the world around me and sometimes through the most subtle of instances the world influences me, I find the majority of the allies to be harsh on my system, some being forefront about their personality making me sick before the experience started and throughout the entire journey, while others seemingly easy on my system until it ends, after which my body felt as if all vital nutrients had been drained; sometimes taking days to fully recover while taking the appropriate supplements replacing what the teacher needed to use to convey its message, this is part of the passage, and for some it is a release of toxins with us and our souls that are cleansed before the knowledge is granted these great gifts of ours. Your book is a really, really excellent resource, and we are all very grateful for it! I (we) appreciate your work and have enjoyed a lot reading it. I am convinced that the stoned ape theory is true, and the only reason why I haven’t gone to la chorrera yet, after having listened to T.M. is because I don’t have enough money yet. But I’ll get it soon! Anyway, thanks a lot for the book, for the goodies, and for everything, keep up with the good work, and let us all be shamans. I have personally been involved in 30 years of psychonaut explorations and i can say i highly recemmend Psilocybe Hollandia for experienced trippers.. This is a very insightful book! It’s great how every aspect of the psychedelic experience is discussed in detail. It grants readers the realisation that there’s so much more to be experienced and learned with these substances than they already know. Great work! I’ve been enjoying magic mushrooms for quite a while now, and did my share of information gathering, but there aren’t many books out there that grasp the potential of this E-book. I’ve sent this E-Book to a lot of friends! Some of them have been enjoying magic mushrooms or truffels for a while now, and others were just getting into this world of wonder. The funny thing is that both the experienced and beginners both loved the E-Book. There’s something in it for everyone. History of magic mushroom exploring, the opinions of some of the pioneers on this matter, and most of all; o a detailed guide on how to trip, what to use, how to grow and exactly which little devils you should take for a specific kind of experience. It practically holds everything you want to know!! Especially the part about growing got me interested, i’m getting myself a kit asap! So; This is one informative and fun e-book, for those who’ve already ventured into the wondrous world of shoomery, and even better for those who are about to take their first step into it.